Volleball is an exciting sport wherein 2 teams of 6 players are separated by a net. The object of the game is to ground the ball on the other team’s side of the court. It’s an exciting sport wherein the teams compete against each other in fast-paced action. One of the best things about it is that it’s a game that both genders have room to grow in. However, how would you know if players in the team are actually doing well? How would you assess their performance? 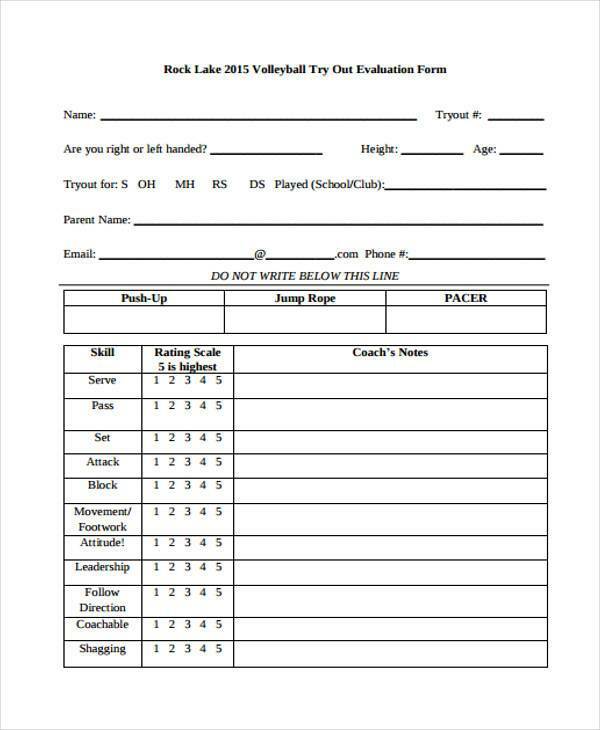 The one way to do so is by using Volleyball Evaluation Forms. 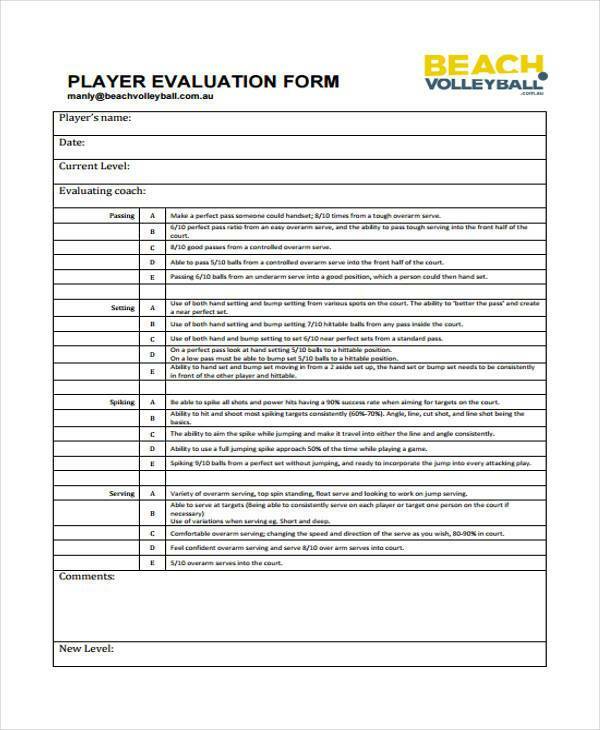 Volleyball Player Performance Evaluation Forms are the kinds of forms used to evaluate the performance of a specific player in a volleyball team. These measure his or her statistics from how many times the player scored to how many times the player was able to catch incoming offensive balls. 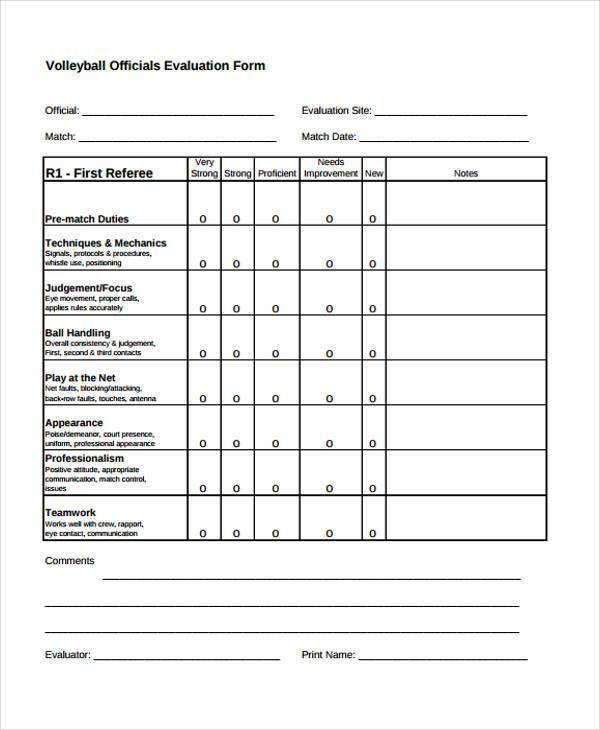 Volleyball Officials Evaluation Forms are forms for those who wish to properly assess volleyball officials, such as the referees. These check if they understand how the game works and if they’re doing a good enough job in making the right calls. 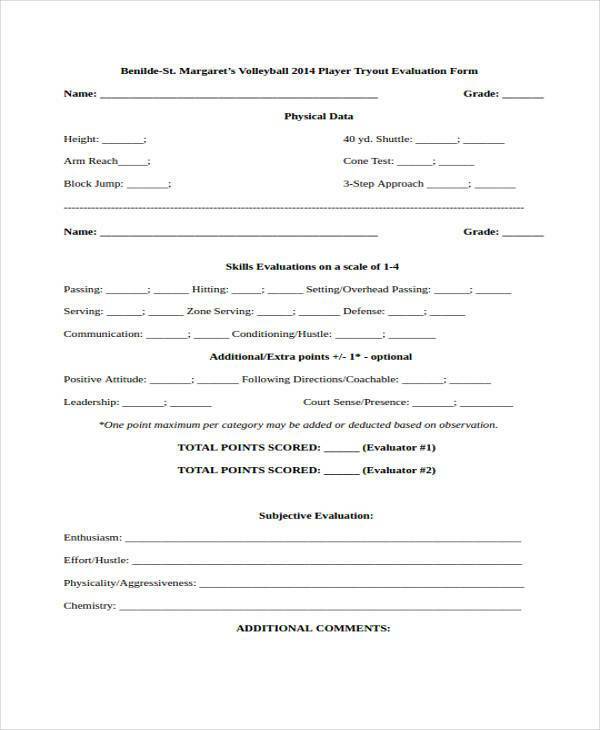 Volleyball Try Out Evaluation Forms are used by coaches to evaluate each and every person who tries out for a position in any kind of volleyball team. Some coaches have very high standards, so some teams are harder to get into than others. 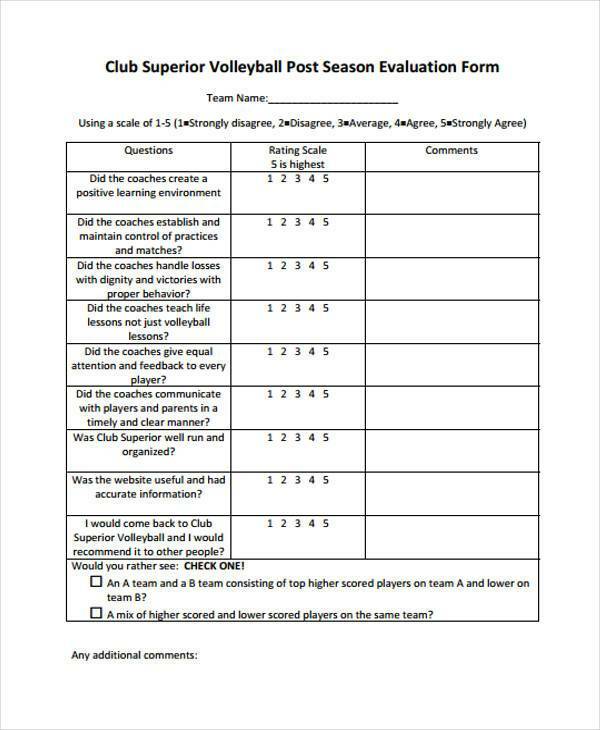 Volleyball Coach Evaluation Forms are forms for officials, or even the players themselves, to evaluate the coach of a volleyball team. 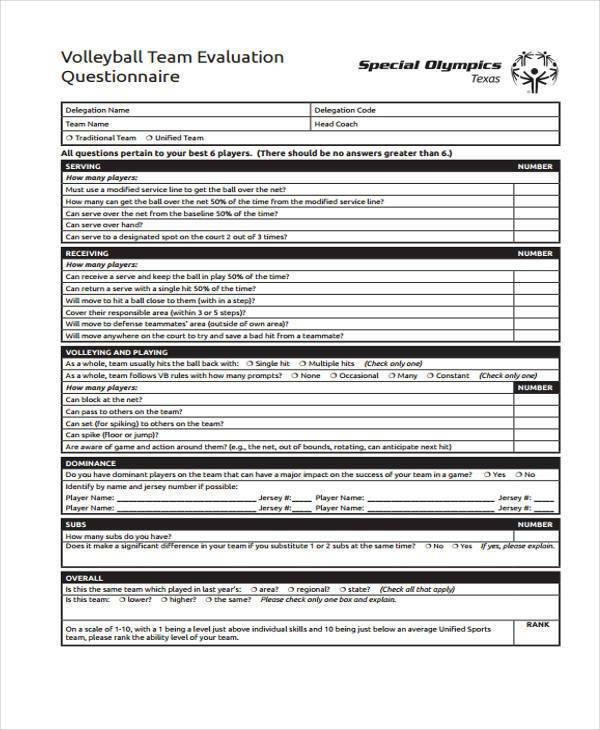 These determine if the coach is qualified enough to train the team or not. Members of a good team always make sure they evaluate themselves in order to make sure their performance remains at top levels. All volleyball teams need to make sure that they perform at their peak constantly. A coach can even assess how well his players are doing by looking up the Training Evaluation Forms of each and every member of the team. Volleyball is a great sport, but if teams want to win, then they’re going to have to do everything they can to get better. 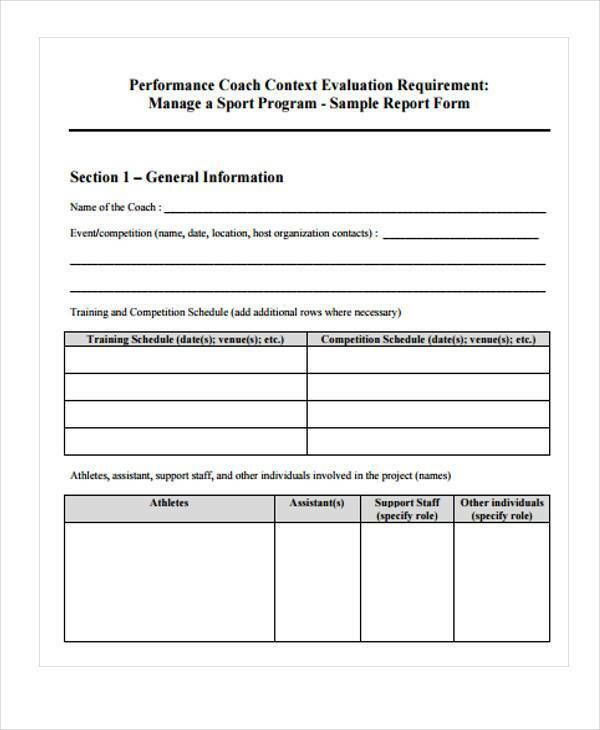 These evaluations can help coaches figure out the problems in the team and help them. These can improve the morale of the team and show them just how well they’re performing.